The Outdoorsman Lite features sub-zero cry-quenched German 4116 Stainless Steel blades, and newly designed handles. The handles are made in two parts. 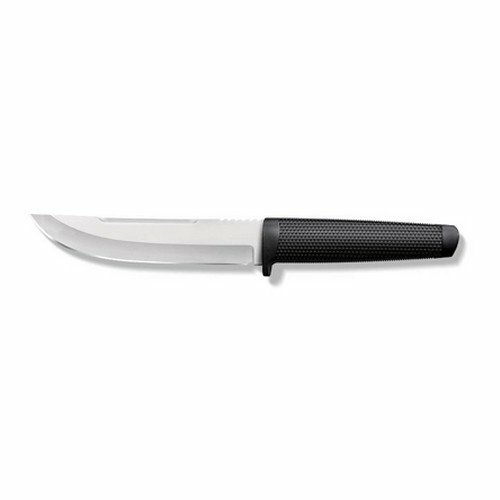 They feature a Polypropylene guard, pommel, and core section, which envelopes the knives full tangs. The core is then over-molded in a deeply checkered Kray-Ex for a non-slip grip that's easily cleaned with soap and water. To carry your knives safely and conveniently in the field, we are including a pouch-style versatile low profile polymer sheath with integral belt loop.